When it comes to entertainment world, Virtual Reality at present stage can be related to what 3D was a decade ago. Having a huge potential to change the way we consume videos and play games; the technology still has a lot to cover to develop further from its nascent stage. When it comes to future possibilities, the name ’Google’ always comes at top. Google has already contributed a lot to VR tech with its Daydreaming headset. Taking a step further, today the company announced acquisition of Owlchemy Labs, a VR focused studio that created award winning games like Job Simulator and Rick and Morty: Virtual Rick-ality. 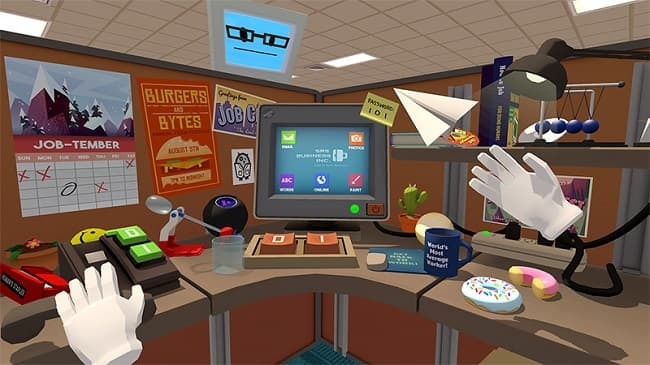 Owlchemy labs is popular among VR enthusiasts for developing apps and games which mimic real interactions using hands and they will continue with their USP as Google itself wants that. Google Daydream is an amazing device to experience quality VR, but it uses a remote control to interact with the virtual environment. This way of doing things is not very intuitive when it comes to complete immersive experience. And that’s where Owlchemy comes into play. Owlchemy co-founder Alex Schwartz said that they will continue with their current projects (which also includes games for multiple platforms), but with a backing from Google. The acquisition might prove helpful for the Google’s Daydream Lab Program if they decide to steer Owlchemy’s expertise in that direction. But, there is not much reveled about what Google plans to do with this acquisition in their official blog and these are just plausible outcomes. Google may revel some important details in the I/O developer conference next week. In all this, future is bright for Virtual Reality with two of the world’s most successful firms backing the tech; Facebook-Oculus and now Google-Owlchemy.